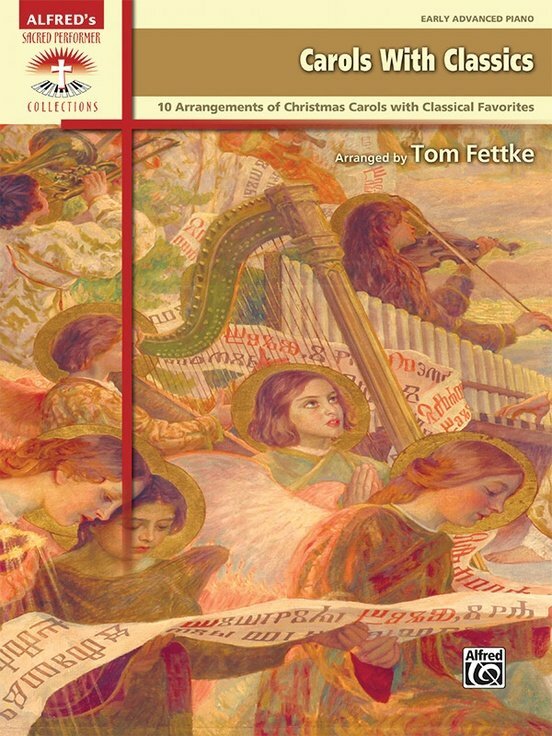 In Carols with Classics, Tom Fettke skillfully merges beloved Christmas carols with favorite classical works by master composers. Titles: Away in a Manger with Brahms' Lullaby (Wiegenlied: Guten Abend, gute Nacht) * It Came Upon the Midnight Clear with Liebesträume * Joy to the World with Hallelujah Chorus (from Messiah) * O Come, All Ye Faithful with Cantique de Jean Racine * O Come, O Come Emmanuel withMoonlight Sonata * Silent Night with Clair de lune * Sussex Carol with Waltz of the Flowers * Thou Didst Leave Thy Throne with Andante Cantabile (from Symphony No. 5) * We Three Kings of Orient Are with Für Elise * What Child Is This? with Gymnopédie No. 1.